LAS CRUCES, N.M. – New Mexico State women’s basketball point guard Shanice Davis has been named the Western Athletic Conference Player of the Week for the week of Jan. 12-18 by both the conference and College Sports Madness, each entity announced Monday. The junior transfer from Killeen, Texas, led the Aggies to a couple of WAC victories last week after marking career highs in both points and assists. She finished the week averaging 22.5 points, 5.5 rebounds, 5.5 assists and 2.5 steals per game while shooting .455 from the field and .313 from 3-point land. Davis began the week by leading NM State to an improbable overtime win against WAC preseason favorite Bakersfield. The Aggies trailed by 20 midway through the second half, but Davis led a 26-6 NM State charge to force overtime, where the Aggies pulled away from the Roadrunners. She finished the game with a career-high 32 points, the most points scored by any WAC player this season, after sinking 12-of-20 shots from the field for a .600 shooting percentage. Davis also made 4-of-9 from beyond the arc during the game en route to becoming only the 18th player in program history to hit the 30-point mark at least once. Davis followed her stellar performance versus Bakersfield with another great game against Seattle U on Saturday in a 76-66 NM State victory. She once hit double-figure points after marking 13 points while also adding six rebounds and a career-high eight assists in another Aggie comeback win. This is the first player of the week honor for Davis and the third this season for the Aggies as Sasha Weber and Moriah Mack won the award in consecutive weeks earlier this season. After the two wins last week, NM State has now won six games in a row and 10 of its last 11 to improve to 10-6 overall and begin WAC play at 3-0 for the first time since 2008. The Aggies will try to keep their streak alive with two WAC road games this week, first versus Grand Canyon on Thursday and then against Utah Valley on Saturday. 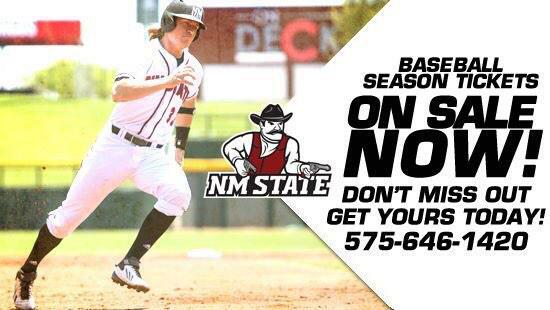 Both games will air live over Las Cruces radio on AM 570 with Adam Young.